Face moisturizer is an important part of every beauty regime. Facial skin is very sensitive, requiring extra care and attention. Treat your skin well with a homemade essential oil face moisturizer. Unlike store-bought products, this natural lotion does not have harsh chemicals. It can also be customized to fit your unique skin conditions or needs. Use an eye dropper if your bottle(s) of essential oil do not include control dispensing tips. Using a mixing stick or spoon, place the coconut oil in your container or jar. Using the mixing stick, mix the coconut oil to soften. Focus on breaking apart large, hard chunks of coconut oil. Continue mixing the coconut oil until it becomes creamy in texture. Add 3-6 drops of each essential oil. Lavender essential oil is a natural antibacterial that helps prevent and treat acne. It kills the bacteria that causes pimples to form. It can also calm redness and irritation of the skin. Rosemary essential oil is also an antibacterial with acne-relieving properties. It is ideal for naturally treating dry skin and promoting a youthful, healthy glow by stimulating blood circulation. While you can use as many essential oils as you like, keep in mind that the consistency of the moisturizer will change. The more you oils you add, the greasier it will be. Add the oils slowly. Mix well and test on your skin before continuing. This will ensure that you achieve a consistency that you like. Mix until the essential oils are evenly dispersed. To apply, use clean fingers to massage the moisturizer into your face. Focus on problem areas such as breakouts and dry patches. 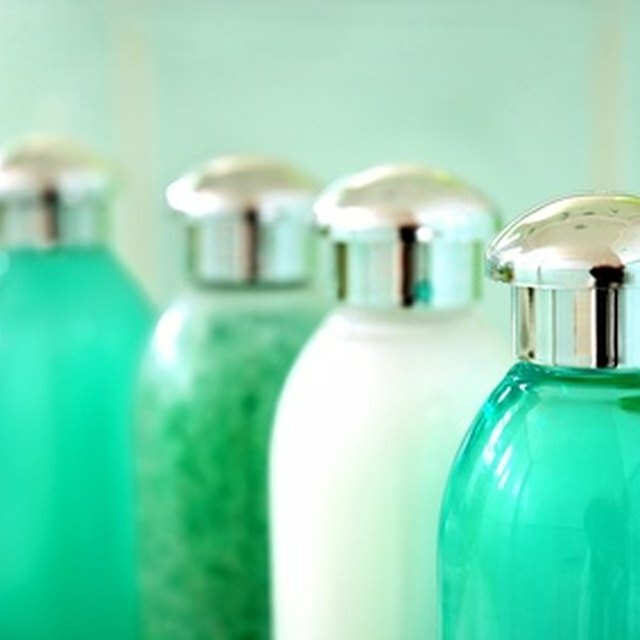 Properly seal the container when you are not using the moisturizer, and store in a cool, dry place when not in use. For added benefits, add aloe vera to your face moisturizer. Pure aloe vera gel regenerates skin cells, making it useful for relieving acne, wounds and blisters. It also reduces wrinkles, scarring and redness. It has a cooling effect on the skin, making it a natural remedy soothing sunburned skin. To use aloe in your face moisturizer, add 1-2 tablespoons of aloe vera and mix well. Tea Tree Oil: Three Cheers for Tea Tree!